We’re used to thinking that Lombok, the Indonesian island, is only good for temples and beaches. But that’s not really the case. These people know how to tell their story to the rest of the world, and the West Nusa Tenggara State Museum is a great example of that. It’s safe to say that if you want to learn more about Lombok, this place is where you should start. The locals honor the traditions and customs of their ancestors, and religion plays a vital role in their lives. That is exactly why every single person on the island (the older generation, at least) knows where he/she comes from and what sacrifices were made along the way. This is a state museum and you can find it in Mataram, the biggest and the mightiest city in the vicinity. Have you ever heard about the West Nusa Tenggara province? Well, that’s where it is located. According to statistics from 2006 (10+ years ago), the museum holds more than 7,3K items. 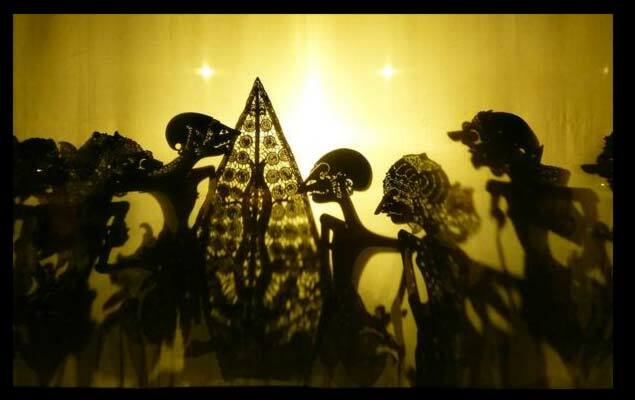 These are meant to represent the traditional arts of both Lombok and Sumbawa. The list includes baskets, songret, kris – that’s their national dagger – and all kinds of masks. Yes, there’s enough to see at the West Nusa Tenggara State Museum, and I encourage you to take your kids on this little adventure. I’m sure they’ll love all this ancient stuff! Now, along with the traditional stuff, this museum is also home to other “talents” of the people of Lombok, including achievements in biology, archaeology, and, of course, architecture. The modern-day construction geniuses still can’t figure out how these folks managed to build their majestic temples hundreds of years ago. If you’re also interested in that kind of stuff, the trip to this museum will become your best experience on the island. Some tourists visit this place to check out the traditional wedding costumes of the Sasak people. Other ethnic groups are also present, including the Mbojo and Samawa. Those dresses are a sight for sore eyes, that’s for sure. As you might already know, Lombok used to be a Dutch colony. The colonial coins from various countries, including Spain and Portugal (along with Denmark, of course), are meant to remind the natives of the dark times. Furthermore, the fans of ancient weapons will find some centuries-old items from tribes and groups that don’t even exist anymore. The Sasak people are quite religious, it’s a well-known fact. So, expect to find a whole line-up of items that protect you from bad luck, weakness, and more. Mysticism has always been a big part of their lives, and that’s not going to change any time soon. Items like divining stones will look cool in your bedroom, by the way. Also known as the Lombok Art Museum, this place is very popular among the “intellectual” tourists. It might not be as famous as, say, the Senggigi beach or Mount Rinjani, but it is just as fun and exciting, especially if you know something about it in advance. The cultural heritage of this island is huge; the fine collection of decorative arts makes it one of the best museums in Southeast Asia. Personally, I prefer to visit every single spot and see it all for myself. However, if you don’t have the time or energy, the West Nusa Tenggara State Museum holds a huge line-up of landscape paintings that depict the modest yet honorable lives of the ordinary villagers. The manuscripts, fossils, ancient tools for hunting, enchanting statues, and adorable musical instruments turn this museum into a must-see. When I and my friends paid this fine museum a visit, it was half-empty. But, thanks to the entrance fee (10K IDR, which equals 70 cents, give or take) allows the place to stay afloat. Besides, there are many government programs that also lend a helping hand. To sum up, I want to say that if you end up in Mataram, please, don’t forget to pay it a visit. Chances are, you’ll be totally amazed by what it has to offer and come back next year. If not, well, you can always take a couple of “smart” selfies. So, we already know that it’s located in Mataram, the biggest city in Lombok. Ampenan is the most colorful part of the city: people of different nationalities and creed live there, and the ancient buildings make it look like a fairytale town. The exact address is Jl. Panji Tilar Negara No.6, Taman Sari, Ampenan. From the Lombok Airport, the ride will take 45 minutes. But that’s only if you get lucky and traffic doesn’t interfere with your plans. If everything goes smoothly, the 35-kilometers-long drive will be over before you notice it. The other two routes are significantly longer. Still, you’ll get to the destination in approximately 1 hour/1 hour 15 minutes. The taxi drivers on this island are awesome and know exactly how to get their clients where they want to go quickly and steadily. Renting is very popular in Lombok. And, it’s very cheap. For 7-10 dollars, the tourists can rent a car or a motorbike for an entire day. As far as public transportation goes, it’s sad and boring. And while the buses do leave the airport very often, you might have to wait in line to hop on one that’s headed towards Mataram. The choice, as always, is yours, but a taxi seems like the most logical pick, especially if you know how to bargain. When we got tired of the noisy beaches, one of our buddies suggested we visit this museum. It turned out to be the best experience in Lombok! The fans of history and ancient traditions will love this museum. I spent several hours there and want to check it out again with my girlfriend. If you want to get the full experience, a guide that speaks English is a must-have. Or, just walk around the place and admire with your eyes.